Home › Anime › City Hunter The Motion Picture Review: So You Say This Is Not The City Hunter Film ? When mangaka Tsukasa Hojo started releasing his manga City Hunter within the pages of Weekly Shonen Jump, he started the ball rolling for what would be an almost fifteen yearlong franchise. By the end of City Hunter’s six year serialization in Weekly Shonen Jump, along with other manga like Jojo’s Bizarre Adventure and Saint Saiya, City Hunter was running four T.V. series, two OVAs, and one film strong. I would like to bring to your attention the late nineties T.V. special outings of City Hunter, whose attempts to mix then modern nineties’ updates while still trying to keep to its late eighties’ flourishes entice me. That is why I will be reviewing the City Hunter property with the most misleading name, 1997’s City Hunter The Motion Picture (Goodbye, My Sweetheart). 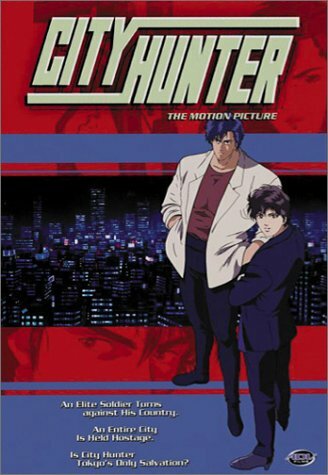 City Hunter The Motion Picture (you know what, Goodbye, My Sweetheart sounds less awkward so how about we just call it that instead) was directed by Kazuo Yamazaki, director of both The Five Star Stories film and the second half (non-Mamoru Oshii) of Urusei Yatsura. What interests me the most is the combined force of character designers Yukiko Kamimura of Black Jack 21 and Keiichi Satou of The Big O and practically all things Karas. 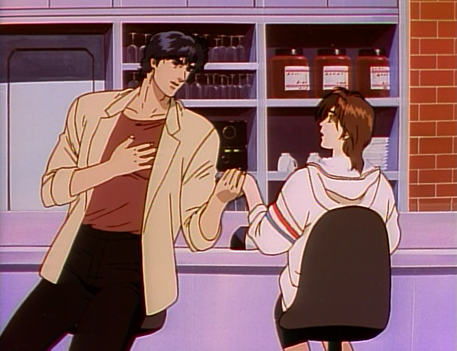 Now they both have been character designers for other City Hunter properties, but the fact that they are together in this one denotes further discussion later. City Hunter follows the life of tall broad shouldered Ryo Saeba and his equally tall work partner, the gorgeous Kaori Makimura. The two work as Sweepers, mercenary figures whose line of work usually entail things like body guarding or tracking down assassins, sometimes going as far to teach their clients how to protect themselves. Under the alias City Hunter, Ryo’s legendary firearm skills not only overshadow the Toyko they live in, but also Ryo’s actual perverted and lecherous nature. From there, City Hunter is almost perfectly episodic; following the action packed and comedic adventures of Ryo, Kaori, and their friends as they take up the request of their exclusively (per Ryo’s “requirements” but this is not absolute) young female clients. In Goodbye, My Sweetheart, Ryo and Kaori are hired by the moderately masculine Emi Makaze, a famed actress and promotional figure (for a while I thought that she was part of a Takarazuka Trope). After Kaori gets over her star struck admiration and Ryo decides that Emi is actually a woman, they decide to take on her job. The job is to look for her long-lost adoptive brother, but when this brother shows up as a disenfranchised military sniper turned terrorist under the name The Professor, Ryo and Kaori have their work cut out for them. In a turn not usually seen in City Hunter, The Professor will breach the usual abandoned alleyways and factories so common to City Hunter’s crime fiction and search out a much bigger prize, blowing up the Shinjuku area of Tokyo. Thematically, Goodbye, My Sweetheart to mestands apart from what I am used to seeing with City Hunter. Based off the trailer, I was feeling that this one would be almost humorless, which I quickly discovered was not the case. This might just be the funniest City Hunter related thing I have ever seen, but it is rather serious when it wants to be. 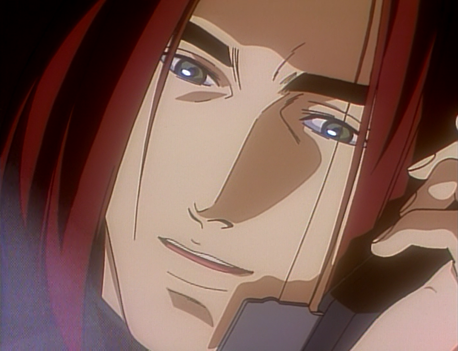 To be honest, I kept flashing back to Cowboy Bebop: Knockin’ on Heaven’s Door because of The Professor’s terrorist plans involving the local subway train and his general character reminded me of Vincent Volaju. 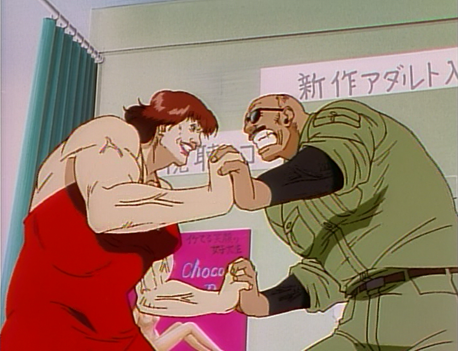 I brought up the combined character designs of Yukiko Kamimura and Keiichi Satou earlier for a reason; specifically because it is special and distinct from many other City Hunter properties in my mind. I would say that City Hunter in general is known for light animation when things get comedic, but there is extra care given to close ups of characters, usually Ryo himself. At points, certain cells of character animation look to be the best visually of the limited amount of City Hunter that I have seen. Keiichi Satou’s character designs for Goodbye, My Sweetheart exclusive characters stick out as distinctive and separate from other City Hunter titles. Pros: Does enough to distinguish itself from the sea of other City Hunter properties to warrant acknowledgement. Might just be this reviewer’s favorite City Hunter title. Music was fantastic, as is to be expected with City Hunter. Cons: You know when I discussed earlier that this might be some of the best looking City Hunter I have ever seen. As to be expected though, when you compare that to everything else, it starts to falter in quality. We are privy to helicopter shots aplenty in this one, but unfortunately they come with a heavy dose of headache inducing strobe effect to denote propeller blades. Considering that ADV released almost everything City Hunter related under the sun, and since it is all episodic, I had to think of something related to City Hunter to effectively cover what was distinctive enough. I experimented by having my editor who knew nothing about the characters beforehand, and asked her afterword if she was ever lost. Thankfully this was not the case because she was able follow through and proved to me that City Hunter is extremely assessable to anyone who might be interested. You can find those old ADV releases for dirt cheap online or at a convention, so if the adventures of Ryo and Kaori gained your interest, then have at them.